Portable Storage -One of the most affordable and convenient solutions for any type of residential and commercial move. Anyone who is thinking of their household move and not yet discovered the benefits of portable storage units, they are seriously missing something. From past few years, portable storage has grown rapidly for the residential and commercial move as many find portable storage to be more cost-effective and easier solution than other moving services. Below are the Benefits of Portable Storage for the next time you’ll be planning for a move. If we talk about the benefits of portable storage and still keep convenience at a lower number, it will be so not fair. The greatest benefit what you can get from having a portable storage is the convenience offered. As portable storage units will be directly delivered to the location you choose, which makes the packing easier, it can be your house, any campus, an apartment or any kind of construction sites your portable storage will be available to your actual destination. And once packing is done, if you choose to move it to some other destination it will be picked up again. So, the packing and unpacking with the help of portable storage is so convenience. These portable storage containers can be used for numerous projects and in a number of different locations for several different uses. The versatility they provide can be found in any of the other moving services. The benefits of portable storage can differ according to the way you choose this portable storage to utilize your needs. As this storage unit container comes in different sizes, which give you the option to choose one according to your need. You can keep the portable container for as much time as you want for a long time or shorter span of time. No matter how you are going to utilize this portable container it always gives you an alternative to help you in your storage and adds versatility too. Compared with all the traditional unit storage, portable storage container to provides all the protection along with a secured locked facility. Portable storage is made of high-quality tough steel, which makes them waterproof and more difficult to break. When it is transported to any new location the lock system makes it more secure. You can never be afraid of stealing and breaking in your stuff while choosing portable containers. Portable storage is one of the cheapest and easiest ways to move, as you are just paying for the cost of the storage. As other moving services charge for their maintenance and travelling cost, some of the movers cost as per hours, while the benefits of portable storage units are that you only need to pay for the container you own without any extra charge. So this is beneficial if you want some affordable service and trying to save your money. With the portable storage containers, the packed unit will be delivered to your storage destination in the exact way you have packed them. The transportation of the portable container is easy and it can be delivered directly to the place you need them. The unloading and added task of hiring any moving trucks get reduced with these portable containers, which easily transport your stored stuff. With the help of a portable container, you no longer have to load your stuff into your truck and unload it again. It will be efficient and easier for you to pack your belongings in the portable container storage unit and directly load up and move it easily without any deadline of overnight packing. You can pack it according to your use and in the spare time, you get. 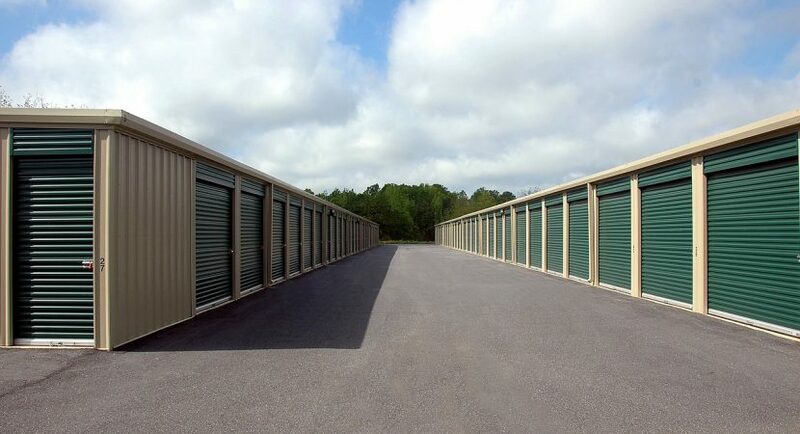 This benefit of portable storage services makes it more demanding day by day. Perhaps the portable storage containers are the newest best thing you can come to know about. They are best for virtually anything as they are easily available and can be put wherever you want them to. Rent your own Moving Pod by ALTA Storage which makes portable storage service much easier to you, if you want them to use for a short-term or looking forward to any long-term storage this portable storage is best for you. It can serve as the alternative of trucks or storage of your items like a more permanent fixture of your home. During any time-sensitive situations what one need is pacing, as having portable unit storage next to your house can make it much easier to handle any kind of situation or problems that can affect your moving process. If any kind of climatic condition or domestic issues arises everyone can put the items in the moving container next to your home without any delay. This way, portable storage can help you in the moving process that makes pacing easier. Your schedule might change or the moving date may get delayed, it’s not in your hand to decide everything every time. If you hire some other traditional unit storage, they will charge you extra for your delay. So, the benefits of portable storage consist of its flexibility too. You can pack your pieces of stuff in a portable storage container and move it anytime you want. You will be able to schedule your moving day according to your plan in a much flexible manner without any extra cost. Although, the traditional storage system is convenient and people do choose them often but they are more of business-driven service. During any snowstorm or rainstorm, the pathways are blocked and you cannot call any of the services so it will be better if you own a portable storage near to you, which can prevent your property stuff from any damage. This portable storage will reduce your stress of storing your pieces of stuff and moving it to any location in any moving situations like a rainstorm or heavy snowfall. Any portable storage container will offer extraordinary service to the people who need a container for moving, storing some extra pieces of stuff or renovating their homes. You can easily find one in your area and get them near your house for serving your need.